Bottom Line: GNC is a well-known company with a full range of products, but Triple Lecithin doesn’t have anything special to make us excited about it. 2. History of the Brand: How Did GNC Triple Lecithin Start? 6. Who’s GNC Triple Lecithin For? 7. How Does GNC Triple Lecithin Work? 8. Does GNC Triple Lecithin Work? 13. Any GNC Triple Lecithin Lawsuits? 16. Would GNC Triple Lecithin Work with Your Diet? 17. Verdict: Would I Recommend GNC Triple Lecithin? Bottom Line: GNC is a well-known company with a full range of products, but Triple Lecithin doesn't have anything special to make us excited about it. I really enjoy finding new supplements to try so I can share my experience with others. Most of the time, I lean toward weight loss supplements. GNC Triple Lecithin isn’t really one of those, but because lecithin has reports of improving athletic performance, I decided to give it a try anyway. But taking the supplement for a month or so isn’t really enough to tell you about the product – and my experience might not match yours, so that’s why I take it one step further. I looked into the ingredients, the science behind them, the GNC company itself, and more. What you see here is the result of my trial experiment and my research findings. You may be surprised at what I have to say, especially since GNC is such a widely recognized supplement brand. 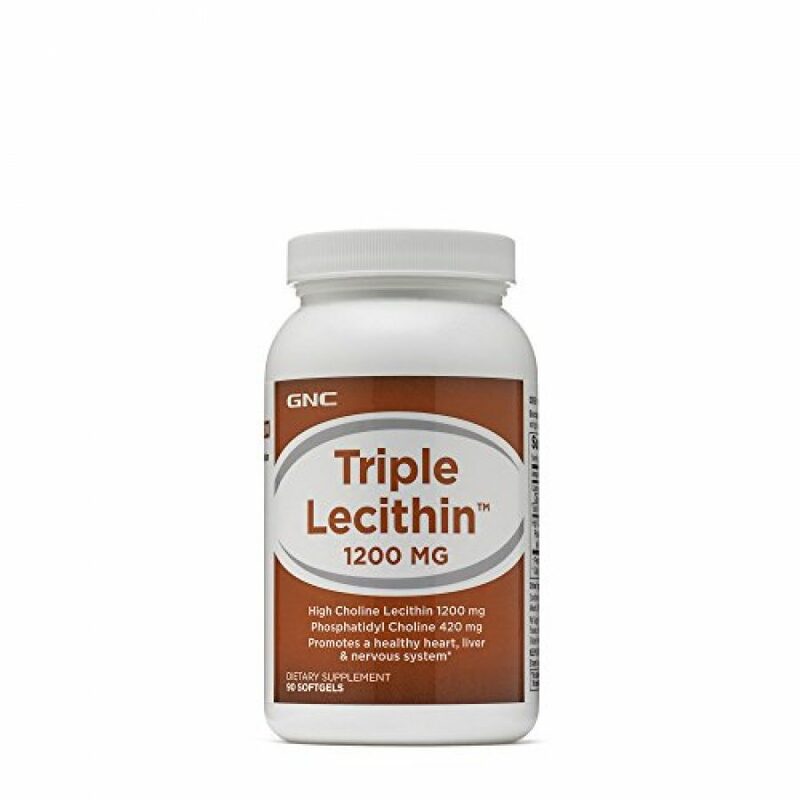 If you’d like to try it for yourself, GNC Triple Lecithin can be purchased through Amazon or using their Official Site. GNC Triple Lecithin is a store brand lecithin supplement. Lecithin is a fat essential for the cells of the body. You can find it naturally in many foods, including egg yolks and soybeans. Lecithin is used as medicine and in the manufacturing of medicine. It’s used to treat memory disorders, liver disease, gallbladder disease, some types of depression, high cholesterol, anxiety, and eczema. GNC, General Nutrition Centers, is headquartered in Pittsburgh, PA. The company was initially founded in 1935 with a single store and now has more than 4,800 retail locations. They operate in 46 international markets. That said, I couldn’t determine exactly when they added Triple Lecithin to their branded product line. GNC has a full range of products. Many are their own private label brand. They also carry many popular brands of products, too. You’ll find everything from basic vitamins and minerals, to protein shakes, a full array of pre and post workout supplements, and more. This is what you could expect to see on the shelves in a GNC store. These are soy lecithin granules. GNC products are manufactured at Nutra, a supplement manufacturer based in Greenville, South Carolina, USA. The plant can manufacture more than 13 billion capsules, softgels, and caplets every year. GNC Triple Lecithin is for adults who want to protect their heart, liver, and central nervous system health. It may also help improve athletic performance. The body converts lecithin into acetylcholine, which is a substance that transmits nerve impulses. Also known as a neurotransmitter, this is one of the most abundant in the human body. You can find it in both the central nervous system and the peripheral nervous system. Acetylcholine works in the peripheral nervous system as a major part of the autonomic nervous system to activate muscles. It also controls a number of functions in the sympathetic and parasympathetic systems. In the central nervous system, it moves between various neurons in the brain in the areas controlling arousal, motivation, and attention. There is no science that shows lecithin as an effective treatment for anything. Right now, it is considered possibly ineffective for gallbladder disease, and likely ineffective for dementia. There is insufficient evidence to show it as an effective treatment for athletic performance, movement disorders, dry skin, high cholesterol, stress and anxiety, manic-depressive disorder, sleep, and other conditions. More research needs to be done to determine how well it could work for any of these conditions. The main benefits are advertised to be promoting a healthy heart, liver, and nervous system. While some people say they get great results with this supplement, others say they don’t feel any different when they take it. This is a capsule so you shouldn’t have any issues with taste. Lecithin is considered likely safe for most people. It may cause some side effects such as abdominal pain, diarrhea, and nausea. It may also promote feelings of fullness. Though there are reports of women who use this supplement to prevent clogged milk ducts during breastfeeding, not enough is known about the use of lecithin during pregnancy and breastfeeding. It’s best to avoid use until you’ve discussed it with your doctor or obstetrician. This product is for adults only. Consult physician if pregnant/nursing, taking medication, or have a medical condition. Keep out of reach of children. They’ve also been in trouble with the FDA, six states, the FTC, and even the United States Post Office. It’s a lot to cover if I list everything, but you can get all the details from Truth in Advertising if you’re interested. 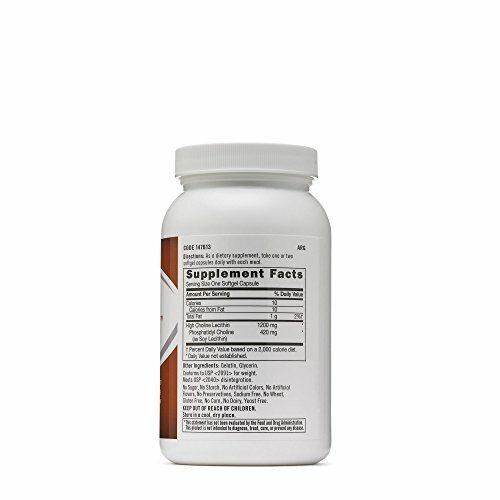 The GNC Triple Lecithin label shows you exactly what you’ll find in the capsule. Normally, I wouldn’t have an issue recommending something like this, because it seems like it’d be a good thing to supplement with. My issue is that not only is there no real connection to weight loss, but that there isn’t enough science to show it as an effective option for much of anything. I’m glad to see women are able to clear clogged milk ducts when breastfeeding, but I’m also worried about it in the sense that we don’t really know enough about it to know if it’s really safe for breastfeeding mothers. If you’d still like to try this product, there are several promotional codes, like this one for 15 percent off, out there so you can try for yourself. My advice? Skip this one in favor of one with a bit more science behind it – and opt for something that’s specifically a weight loss supplement. 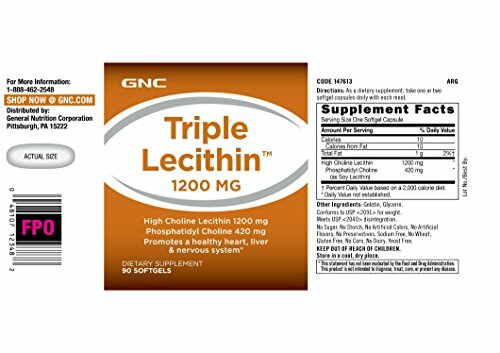 GNC Triple Lecithin can be purchased through Amazon or using their Official Site.